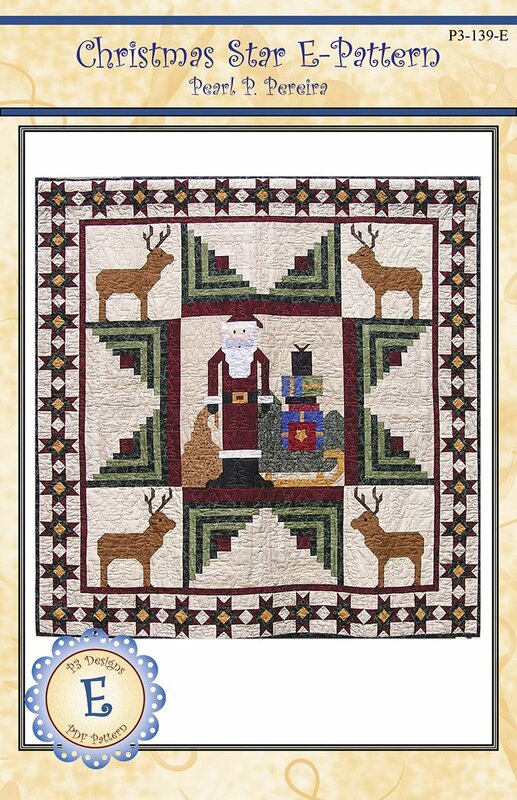 Celebrate Christmas with this 66" x 66" quilt made with traditional sewing machine piecing techniques and just a touch of applique for the reindeer antlers, Santa's mustache and the star on the package. Clearly illustrated machine piecing direction. Finished Size: 66" x 66".